This best-selling reader is designed to transition students from reading highly controlled elementary-level materials to appreciating authentic literature. Written primarily in the twentieth century by authors from Spain, Latin America, and the United States, the 29 short stories in Album appear in order of increasing difficulty. 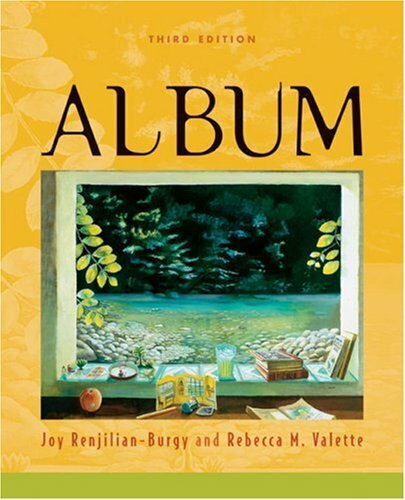 Many features, including generous notes and glosses and a range of varied activities, aid comprehension, encourage oral and written self-expression, and promote cooperative learning, as well as critical thinking about the selections. View More In Short Stories & Anthologies. If you have any questions about this product by Brand: Houghton Mifflin Company, contact us by completing and submitting the form below. If you are looking for a specif part number, please include it with your message.